Dr. Bojana (Boy•ana) Jankovic Weatherly is an award winning board certified internal medicine physician. She completed her fellowship in integrative medicine and is trained in functional medicine, nutrition and mindfulness. Her approach is rooted in evidence-based medicine that is personalized to each individual she works with. She partners with her patients to discover and address the root causes of their conditions and develops individualized plans to support and empower each unique individual to achieve her or his health goals. As part of her mission to deliver accessible, evidence-based health and wellness information, she created drbojana.com, featuring her videos, articles and recipes. Dr. Bojana Jankovic Weatherly recently moved to New York City with her family and is thrilled to join Dr. Frank Lipman at Eleven Eleven Wellness. She previously practiced primary care at Cedars-Sinai Medical Group in Beverly Hills and worked in executive health at EHE. Dr. Bojana also practices primary care at Crossover Health and is the Co-Founder and served as the Chief Medical Officer of WellStart Health, a digital therapeutics start up for chronic disease prevention and reversal. She currently serves as their Medical Advisor. Throughout her academic career, Dr. Bojana Jankovic Weatherly performed research in endocrinology and oncology, published papers in peer-reviewed journals and presented her work at academic conferences. She has also established herself as an educator and speaker, teaching UCLA medical students and Cedars-Sinai residents, and speaking on health topics in academic and corporate settings, and wellness events. She has also shared her medical expertise on the Today Show and Rachael Ray. Dr. Bojana serves on the Board of Directors and has been honored for her contribution to Lifeline New York, a nonprofit organization that provides support to Serbian hospitals and children in need. Dr. Bojana loves spending time with her two children and husband in nature, experimenting in the kitchen, doing ballet barre and practicing mindfulness and yoga. Her guilty pleasure: decaf macchiato with coconut milk in the morning… and anything with chocolate. To request an appointment with Dr. Bojana Jankovic Weatherly, please call (212) 255-1800. To learn more about wellness packages and visits, click here. If you are an established patient, you may log in to your patient portal here. Dr Campanile is a Harvard trained Cardiologist. He is director of the Dean Ornish Intensive Cardiac Rehabilitation Program and is director of Integrative Nutrition and Integrative Cardiology at the Chambers Center for Well Being. He is quintuple board certified in Internal Medicine, Cardiology, Interventional Cardiology, the American Board of Integrative and Holistic Medicine and the American Board of Anti-Aging and Regenerative Medicine. He is Assistant Professor of Medicine at Rutgers New Jersey Medical School and has been an instructor for doctors specializing in cardiology at Lenox Hill Hospital in NYC and Columbia University Mount Sinai , Miami. 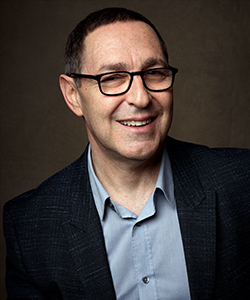 Dr Campanile was a researcher at the world-renowned Framingham Heart Study, and is currently investigating integrative modalities with the National Institute of Health, Rutgers New Jersey Medical School, Duke University and Yale University. He was a cardiologist for former President of the United States, George H.W. Bush and he is a contributing editor and medical writer for Shape and Men’s Fitness Magazines. 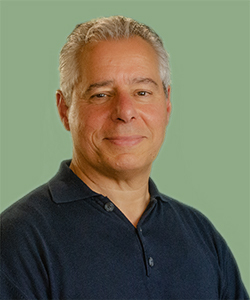 Dr. Campanile has been practicing Integrative and Clinical Cardiology for over 15 years and has been a member of an advisory board at Bastyr University. He has been an instructor of nutrition, herbology and integrative medicine at Florida Atlantic University, and is a certified aromatherapist. Dr Campanile has been named “Top Doctor” in cardiology by New Jersey Monthly Magazine for multiple years. Dr Campanile’s approach to medicine is to choose the best and safest modality for each individual patient both from the modern traditional medical sciences and from the naturopathic integrative world. His goal is to avoid unnecessary testing and treatments by placing the patient at the center of the care and decision-making. He believes each patient’s story is unique and he considers all of the factors in their individual environment and lifestyle that may influence their well being. Nutrition and lifestyle factors are the cornerstones of his practice. Keren, born and raised in Great Neck, New York is a graduate of Hofstra University and New York Chiropractic College, Seneca Falls, New York. After graduating with honors, Keren completed her internship in acute care and musculoskeletal rehabilitation at the Levittown Chiropractic Health Center where she deepened her skills in the treatment of acute spinal disorders. While in Chiropractic school Keren became a Certified Active Release Technique (A.R.T.) specialist which has greatly enhanced her diagnostic skills and the range of conditions she is able to treat effectively. ART, developed specifically to deal with soft tissue injuries, is the most advanced, non-invasive treatment currently available for muscle, tendon, ligament, and fascia injuries. In addition to manual manipulation Dr Day has vast nutritional knowledge and specializes in custom orthotics. Keren became a Black Belt in Mixed Martial Arts in 1999, giving her an additional hands-on skill in understanding muscle and joint injury. She continues to study, her interests focusing on nutrition, biomechanics, ergonomics, and diagnostics to assure that she is up to date with the constantly evolving field of muscle injury. On her free time Keren volunteers treating competitors in triathlons and marathons in the tristate area. Scott received a BA in Biology from Brooklyn College, and a BS in Pharmacy from Brooklyn College School of Pharmacy and has been licensed since 1977. He is a Registered Pharmacist, and is certified in Basic, Sterile, and Veterinary Compounding. Scott is also a Natural Pharmacist and a Nutritional Educator. He is the owner and President of Life Science Pharmacy, Life Science Nutrition, and VetRx. Mr. Berliner is a member of the American Pharmaceutical Association, Pharmacists Society of the State of New York, IACP (International Association of Compounding Pharmacists) and The Professional Compounding Center of America. He is married with a 17 year-old son and an 19 year-old daughter; and he resides in Monroe, New York.Scott Berliner has lectured extensively about nutrition, anti-aging, natural hormone replacement therapy, AIDS, hepatitis, and cancer. He has spoken at GMHC on natural approaches to hepatitis. He talked about natural healing in pediatrics for NOMADOCS at The Children’s Aid Society. Mr. Berliner made a presentation to the social workers at the Actors Fund about basic health and diet for persons with HIV. He spoke at Beth Israel Medical Center’s Continuum Center for Health and Healing about the compounding of natural products for functional medicine. Mr. Berliner speaks regularly at Friends in Deed about issues related to autoimmune illnesses. In addition, he has spoken in 2004 at Omega Institute on women’s health issues and in 2005 at the Open Center in N.Y.C. on integrating functional medicine into a traditional medical practice. Sandra Sanchez M.S.,Ac, L.M.T, C.P.T. Sandra Sanchez has been working professionally within the health/fitness industry for the past 25 years as a personal trainer, movement specialist, soft tissue therapist and Acupuncturist. She went to Hofstra University for Exercise Physiology and continued her passion for learning about the human body throughout her career. She has learned directly from Los Angeles Clipper Soft Tissue Therapist and world-renowned manual movement expert Lenny Parracino. She continued her journey and studied under world-renowned Physical Therapist Gary Gray and Dr. Dave Tiberio, PHD and became a Gray Institute Fellow of Applied Functional Science. She continues to take her education and experience to new boundaries that will change the way practitioners treat and view human bodies as a whole. Alison Stone, LCSW is an integrative psychotherapist practicing at the Eleven Eleven Wellness Center. She specializes in helping young professionals manage anxiety, navigate transitions, and thrive in their personal and professional relationships. Alison's perspective is holistic, combining traditional talk therapy with approaches that emphasize the relationship between mind and body. Her areas of expertise include anxiety, relationship issues, trauma/PTSD, work stressors, and adjustments to major life events. Alison obtained her undergraduate degree from Emory University and her masters degree in social work from New York University. She has completed additional postgraduate certification in trauma studies as well as holistic health and nutrition.‬ For more information about her practice, you can visit her website at AlisonStoneTherapy.com. Dawn Brighid, MS, CNS, CDN is an Integrative Nutritionist and Health Coach at Eleven Eleven Wellness Center. Dawn addresses the root cause of an individual’s imbalance using evidence-based diet and lifestyle changes to help regain and maintain optimal health. Each person’s unique life circumstances and priorities are always taken into consideration. Dawn understands that changing habits and creating a healthy lifestyle doesn't happen overnight. She guides clients to remove barriers, creating new healthy habits one step at a time. She helps clients to enjoy life and food, while finding balance and getting back on track. Dawn is a Certified Nutrition Specialist (CNS) and a Certified Dietitian/Nutritionist (CDN) in NY State. She holds her MS in Nutrition & Integrative Health from Maryland University of Integrative Health, is an Integrative Nutrition Health Coach trained at Institute for Integrative Nutrition, and is a graduate of Jaya Yoga Center’s 200-hour yoga teacher training program.